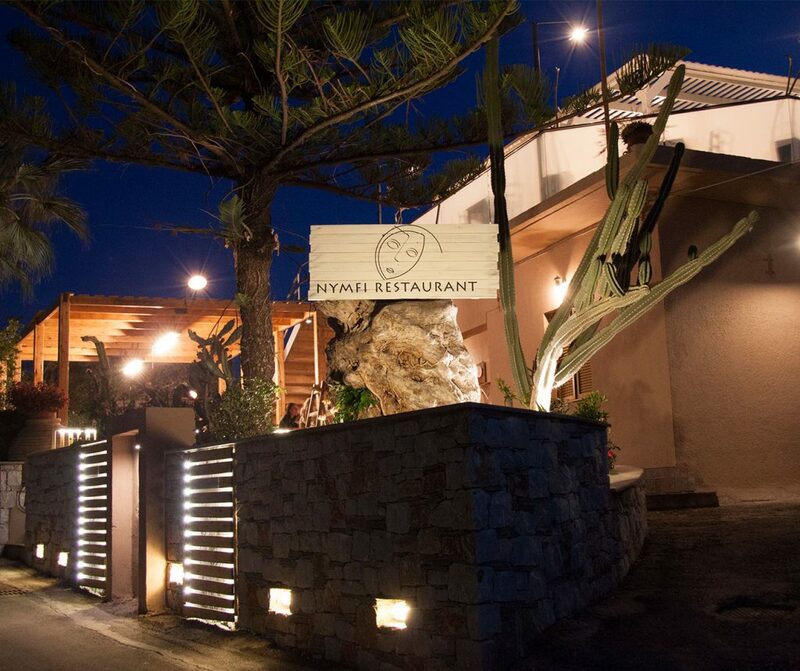 Inspired by tradition and the beautiful natural scenery, Nymfi Restaurant, invites international and Mediterranean cuisine enthusiasts to taste our “tweaked” recipes. Nymfi Restaurant respects all visitors and caters for any allergies to any customer. Furthermore you will find gluten-free dishes and recipes on a daily basis. According to mythology, the Nymphs were young female figures of divine origin who lived and sang in the wild, the springs, the meadows and the slopes. The Nymphs praised the Olympian Gods with their sweet voices. With years of experience in the field of food preparation and always using fresh materials, we have created a menu capable of covering every need of our visitors. As you enter our restaurant, you will be flooded with smells of thyme, oregano and sage from our garden. We also provide a spacious parking area, a certified playground and a football field for our young friends. We are looking forward to offering you a “tweaked” experience.